In 1883, the Hawaiian sugar cane industry imported the mongoose to control rats. Today it endangers many of Hawaii’s endemic species, including the nene. 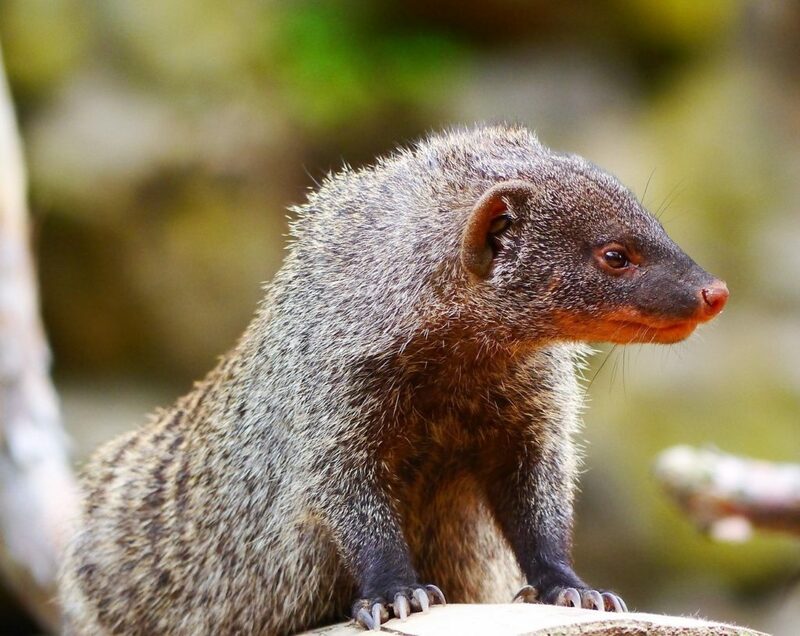 What role does the mongoose play in the Hawaiian environment and how can the mongoose be controlled? Figure 1. Small Asian Mongoose. Modified from Peter Kraayvanger, 2016, Pixabay. Public Domain. Figure 2. The Small Asian Mongoose (Herpestes javaicus) inhabits areas of Iran, India, Vietnam,, and several other Asian countries. The species traveled to the United States as a result of human interaction and now occupies much of Hawaii. Map data courtesy of IUCN Red List of Threatened Species, Wikimedia Commons. CC BY-SA 3.0. Map modified from NuclearVacuum, Wikimedia Commons. Public Domain. One of Hawaii’s most well-known and beloved endangered species is the Hawaiian goose, or nēnē (pronounced nay-nay). 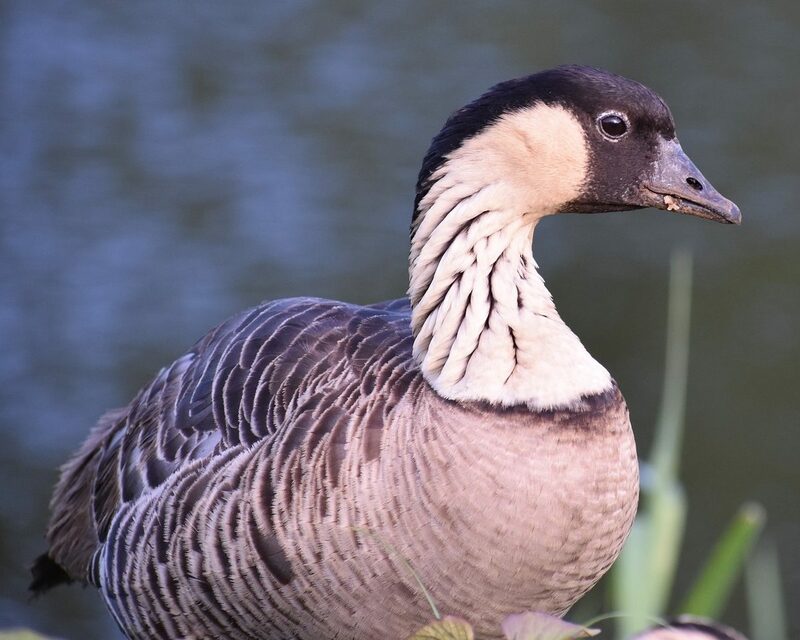 The nēnē was placed on the very first endangered species list when it was created under the Endangered Species Preservation Act of 1966.9 Many studies have been conducted to investigate the various causes of nēnē mortality. Leading mortality factors include emaciation, trauma from vehicle-strikes, predation, and disease.10 Much conservation work has been done to restore the nēnē population in Hawaii.9 Captive-breeding efforts have been extensively used to restore the population, but more work remains, as nest predation hinders successful reproduction in the wild.9,10 Average clutch-size is 3 eggs with a lengthy incubation period of thirty days.9 Once hatched, chicks remain flightless for 10-14 weeks making them vulnerable to mongoose predation for an extensive period.9 The largest population of nēnēs was established on Kauai, predictably due to the absence of mongoose there until recently.10 Discovery of a new mongoose population becoming established on Kauai has many nēnē conservationists concerned. The mongoose makes it difficult for conservationists to reestablish nēnē populations, and that of many other ground-nesting birds to their historical range. Figure 3. Adult Nene (Branta sandvicensis). Modified from GoodGallagher, 2017, Pixabay. Public Domain. Figure 4. 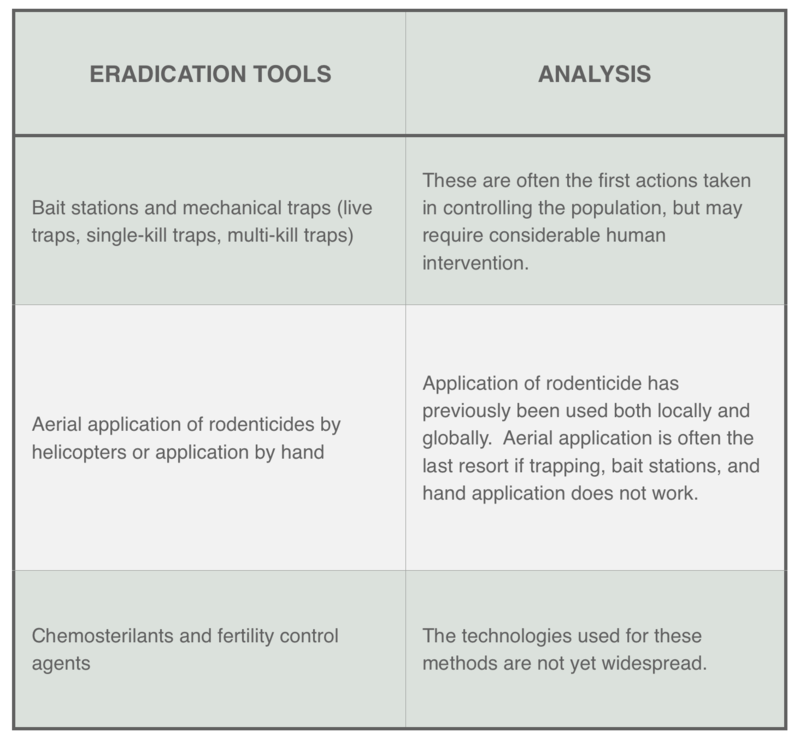 Mongoose Eradication Tools. Courtesy of U.S. Fish and Wildlife Service, Public Domain. Figure 5. Mongoose basking in the sun on a nature preserve. Courtesy of kolibri5, 2016, Pixabay. Public Domain. GoodGallagher. (2017). [Photograph of Nene]. Modified from Pixabay. Public Domain. IUCN Red List of Threatened Species. (2010). [Data for native mongoose range]. Retrieved from Wikimedia Commons. CC BY-SA 3.0. Kraayvanger, Peter. (2016). [Photograph of mongoose]. Modified from Pixabay. Public Domain. kolibri5. (2016). 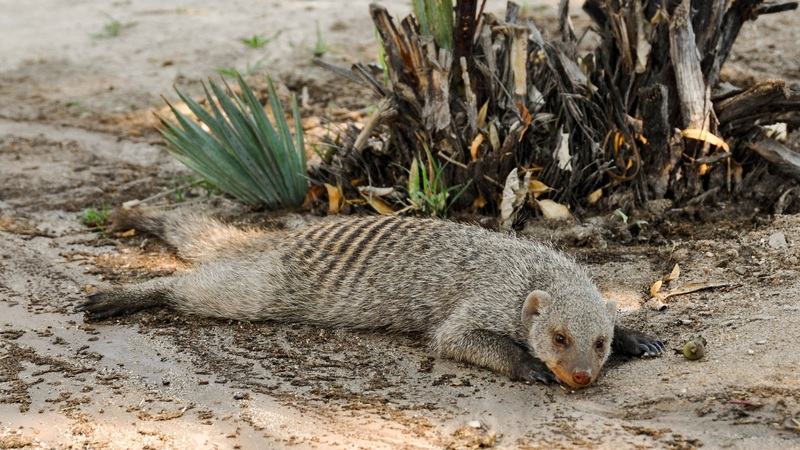 [Photograph of mongoose laying in sand}. Retrieved from Pixabay. Public Domain. NuclearVacuum. (2010). [Blank world map]. Modified from Wikimedia Commons. Public Domain.